June 30, 2017 June 28, 2017 Amanda B.
CVC words (consonant, vowel, consonant) are some of the first words that beginner writers can start spelling. Some examples of a CVC word would be: cat, mop, zip, dog or bug. I was noticing that some of our Junior Kindergarten students were getting really good at identifying the beginning and ending sound of words, but they were forgetting the middle sound. That’s what inspired this product– to help them to sound out new words and to practice writing each sound that they hear in a word. The write-the-room activity has 12 picture cards (in color and B&W) and a recording sheet. Place the cards around the classroom and students must find each of the words and stretch them out to find each of the letter sounds in the CVC word. The recording sheet has boxes to help students with proper letter formation when printing the words. The next activity is write-and-swipe cards. There are 20 color cards that have a picture and spaces to stretch out each of the sounds for the word that matches the image. This also has boxes to help students print with proper letter formation. Print out the cards, laminate them and have students use whiteboard markers to write on them. The third activity includes 20 picture cards and a work mat that students can use to build the words to match the image. These can be put at a loose parts center, in a sensory bin, or can be used with white board markers. 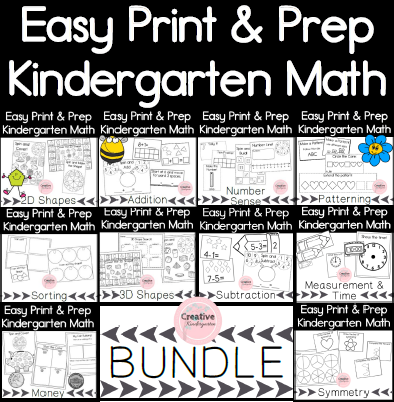 This product is available in my Teachers pay Teachers store, take a look at it here! How do you introduce your students to CVC words? Next postHave Fun with Chalk!